Fall is giving way to winter and kids’ thoughts turn to snow days, sledding, snowmen, and all sorts of frosty things. There’s a book for that…and that…and all those things too! Kids love following the seasons through the books they read. There’s nothing better during the cold-weather months than snuggling indoors with a stack of books and a steamy mug of hot chocolate. During Picture Book Month and all through the year, introduce your children to the joys of reading! Phaidon Press sent me a copy of Little Bear Dreams to check out. All opinions are my own. I’m delighted to be partnering with Phaidon in a giveaway of the book! See details below. Copyright Paul Schmid, 2018, courtesy of Phaidon Press. As the day brightens once more, maybe the baby imagines all kinds of things that lie beyond those “straight horizons” or giggles at wearing tickly, “curly moustaches.” There are so many things to discover, both big and small, short and tall, and blue—lots of blue in the frozen north. But night has come around again and it’s time for sleep. So, curl up with “soft, snowy beds. Warm fur…and frosty nights” and drift off to sleep. Paul Schmid’s snuggly story about an adorable polar bear pair rendered with soft curves, quiet blues, and sweet surprises is, simply, love in a book. The gentle text lulls little ones toward sleep while reminding them of the wonders of life. Images of opposites—hot and cold, straight and curly, big and small, and others—are full of charm and wit and give little readers lots to talk about or an invitation to fill in their own details. Schmid’s beautiful use of line, shape, and color expresses the loving relationship between baby and adult as the little one peeks from behind Mom, hides underneath her during a game of hide-and-seek, and nuzzles noses in a little bear kiss. Marshmallow-plump bunnies wait silently to play, and pudgy little polar bear twists to try and spy a stubby tail. Gorgeous perspectives show the magnitude of the night sky and the mother bear’s protective power. The moving image of the pair curled into a ball for sleep underneath a full moon and then risen to replace it as a little one’s shining light is the perfect ending to this story so rich in cuddles, caring, and comfort. An excellent book for baby shower, birthday, and holiday gifts as well as an endearing addition to home libraries, Little Bear Dreams is a book you will find yourself reaching for again and again. It’s a sweet book for preschool classrooms and a must for public libraries. I’m thrilled to be chatting with Paul Schmid today about his the inspirations of winter, following where ideas lead, and the role of that curly moustache in Little Bear Dreams. Readers are always interested in the creative process that goes into a book. Can you talk us through how Little Bear Dreams came to be? Little Bear Dreams started in a somewhat dreamlike way. I just began playing with the dramatic, graceful shapes of winter landscapes without knowing where I was going with it. I love winter, and since childhood have been fascinated by its stark simplicity and seeming contradiction of severity and softness. This was the start of it all. Roughly sketched musings on a bear in her environment. As dreams will do, the book evolved as it progressed. It took hundreds of sketches to bring this book to life. At one early point it was called “Black and White and Blue.” The more I sketched my characters, though, the more they began to assert their personality. We all eventually settled into a gentle, loving mother bear and her rather impish and imaginative little bear. Ideas for stories can come from anywhere, but what for you makes an idea stick so that you develop it further? I follow ideas perpetually. “Follow” being the operational word here. Many times I’ve tried to force an idea, and it generally ends up looking so. I follow until an idea becomes something or peters into nothing. Some ideas I’ve been following for years and haven’t arrived anywhere wonderful—yet. Some ideas drag me after them at a speed which shocks me. I guess the key is to always be receptive. Ideas will rudely wake me at 2 a.m., obliging me to creep into my studio and sketch or write. Little Bear Dreams began as an indulgence to play with simplicity in color and shape, visual and verbal rhythms and contrasts, but evolved also into a story of love and connection. Of gentleness and playfulness. The idea is the boss. Not me. I just obey. Your illustration style is very distinctive, and your adorable characters immediately inspire readers to feel empathy for them. Can you talk a little about the role of different shapes, line, white space, and even the use of small features in your illustrations? I have a compulsion to express as much as possible in the simplest manner possible. It is a great pleasure to me to strip an illustration or sentence of all that gets in the way of advancing the story or mood or character of the book. Although my illustrations seem simple, I’ve found simplicity a very complicated feat to achieve. With no busyness, what is there must be perfect. For me that requires a lot of drawing and redrawing. But it must connect with a reader! Children live real, dramatic, joyous, painful, confused, confident, knowing, learning lives. 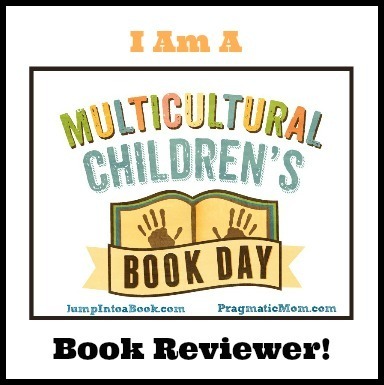 I feel my job as a storyteller for children is to reflect and connect with the vitality of life they dwell in. In 2010 you were chosen as one of four illustrators to attend a fellowship with Maurice Sendak. What is the most memorable thing that he told you? What is your favorite memory from that experience? Maurice was to me a shining example of emotional courage and depth and intelligence. I’ve never met anyone more brilliant and intuitive. He was unafraid of his feelings, of complexity, of embracing sadness and joy. For all he was a superstar, he was also amazingly generous and one of the most caring, attentive listeners I’ve ever known. It is how he was as a person that has inspired me rather than any one thing he said. My favorite memory of Maurice was a visit I paid to him about a year after the Fellowship. We took a walk and for hours discussed how elusive happiness is for an artist, the difficulty in waking our muses, the impossibility of not continuing to always create and express ourselves, the challenge and imperative of being truthful to kids, loss, death, life, beauty. The whole of our love for life and creating. As a speaker at the 2015 Words, Writers, and West Seattle” series of the Southwest Seattle Historical Society, you talked about several of your books, including Oliver and His Alligator, which involves a surprising turn of events, and mention that kids love being shocked. In Little Bear Dreams, the baby polar dreams of things she would naturally see in her environment juxtaposed with things like cold pizza and curly mustaches. Can you discuss the benefits for young children of unexpected moments that cause surprise or giggles? Kids are still putting the puzzle pieces together on their perceptions of “What is this thing called life?” Incongruities help reinforce our understanding of reality. As a little girl my own daughter enjoyed pointing out when something was not right. It is a source of humor for children and adults. As I write I imagine a parent reading the book with their child and discussing it together. “Do polar bears eat pizza?” “No, that’s silly!” I endeavor to create those moments for a parent and child. My books such as A Pet for Petunia and Oliver and his Alligator are full of such opportunities. Surprise, along with the comfort of seeing true familiar things is the balance I sought for Little Bear Dreams. Putting the child in the position of knowing something the book affects not to know is great fun for a young reader too. As I watched the Word, Writers, and West Seattle event, I was thrilled to see you present The Story of Ferdinand as one of your childhood favorites. That book was also one of my favorites—the first one I remember truly loving. For me, as a quiet child, it was the story that was so validating, and for you, you said that even as a child you appreciated the perfection of the illustrations. Could you talk a bit about that relationship between a child and a book that is a beloved “first” in some way. Is that an idea you are aware of when creating a book? One of the most gratifying results of creating books for kids is getting a note from a parent telling me it is their child’s favorite book; that they have to sleep with it under their pillow, or they’ve memorized the whole book. I love knowing I made something that touched a child so deeply. I believe this profound connection is because a child reads so much more intensely than an adult. They seek in books information and affirmation of what they are feeling or thinking. They find adventure and discover possibility. Reading for kids is not just a distraction, it is an important part of their world. Oh, and because of this I have a small personal conviction that the only reviewers of kid’s books should be kids. Ha! I am always working on new manuscripts! I’m having a great time this week with a particularly fun story I am sketching up. Not a bad way to spend my days. I have also set up a shop at society6, where you can buy quality prints of images from my books and some other fun stuff I’ve illustrated. New designs are always on the way. What’s your favorite holiday? Do you have an anecdote from any holiday that you’d like to share? I find Winter Solstice particularly appealing, since for me it represents the paradox of life. Solstice marks the end of the shortening days, the return of light and warmth, of renewal. At the same time it also means the beginning of Winter, of coldness, hardship and patience. This is not a conflict to me but a lovely insight. Up cannot exist without down, it is its opposite that makes a thing itself be. Paul hiking with Mount Rainier in the distance. So at the moment of Winter Solstice we are able to feel simultaneously both joy and sadness, hope and fear. That is a concept I find strangely satisfying. Wow! Thanks, Paul, for such an insightful talk! I wish you all the best with Little Bear Dreams and all of your books! Little ones love touching and feeling different objects and trying to guess just what they are or how they’re the same or different than other things. Putting together a sensory tin is a quick and easy way to keep kids occupied with a fun activity while they also learn! With a six-cup tin for youngest readers and a twelve-cup tin to try and stump older kids, you have plenty of space to add items that are soft and hard, cold and warm, crunchy and crumbly, spiky and smooth, and so many more! To make the tin into a game, have kids close their eyes or blindfold them and let them feel the different items and guess what they are. When we think about our lives, we can be thankful for many things. At the top of the list for parents and other caregivers are the children in their lives. Gratitude and expressions of thanks are two of the earliest emotions passed down to children through gentle “what do you say?” prompts for any gift or compliment given to teaching kids to write thank-you notes to friends and family. During the holidays—and this week in particular—we are mindful of all of our blessings and of those less fortunate than we are. Zonderkidz sent me copies of Nighty Night and Good Night and Let’s Get Ready for Bed to check out. All opinions are my own. I’m happy to be partnering with Zonderkidz in a cozy giveaway! See details below. Ben’s bedtime routine always included a simple prayer. “‘Dear God, Thank you for this day. Please help all of our family and friends sleep well tonight! Amen.’” Then he turned out the light and went to sleep. But sometimes—like tonight—Ben couldn’t fall asleep easily. He turned on his nightlight and that’s when his fluffy friends, Bear, Lamby, and Sleepy Puppy came to life to help. Image copyright Tod Carter and Chuck Vollmer, 2018, text copyright Michael W. Smith and Mike Nawrocki, 2018. Courtesy of Zonderkidz. Lamby, of course, thought counting sheep would put Ben to sleep, but when Ben got to ten he had to stop. He didn’t know what came next, and he wasn’t sleepy yet. Bear suggested Ben fluff his pillow, so he tossed his pillow in the air until it was nice and soft, but he still wasn’t sleepy. Sleepy Puppy was sure that yawning would make Ben tired, so they all marched around the room yawning widely, but that didn’t do the trick either. All clean and dry, Puppy tugged on his favorite pajamas. “Fuzzy and soft, these pj’s are cozy. / They keep his toes warm and turn his cheeks rosy.” Then it’s time to brush his teeth and finally hit the hay. Puppy knew he had something special to do before he climbed under the covers. He knelt by his bed and prayed, “‘Thanks, God, for my family, for my mom and dad, / and for all the fun with my friends that I had.’” Then he asked God to keep them all safe and help them to sleep well. Nighty Night and Good Night and Let’s Get Ready for Bed are the first two titles in a new series, Nurturing Steps™ launched by Grammy® Award winning artist Michael W. Smith for babies and toddlers. The series combines books and music to give parents, grandparents, and other caregivers a way to “enliven a young child’s journey with hope and faith through song and storytelling.” The stories are sweet and comforting for little ones as they echo the bedtime routine of many children. Bedtime prayers feature prominently in both stories. In Nighty Night and Good Night, Ben prays with his mother, while in Let’s Get Ready for Bed, Puppy performs all of his bedtime routines on his own. The familiar dilemma of not being able to fall asleep is addressed in each book with fun suggestions that ultimately lead into the soothing heart of the story—a lullaby. The reassuring words and calming tunes of both songs will quiet children and help them drift off to sleep. As an added bonus, each book includes a link that allows readers to listen to Michael W. Smith sing the same lullaby. Youngest readers will be charmed by Ben and his three stuffed animals who know just how to be good friends when you need them most. An accompanying album of sleepy songs is also available. You can learn more about Nurturing Steps by visiting the website. Giveaway open to US addresses only. | Prizing and samples provided by Zonderkidz. Gather around for the Let’s Get Ready for Bed book trailer! Michael W. Smith is a successful recording artist who has recorded more than 25 albums and had numerous hit radio songs in the Christian and General markets. He’s won numerous Grammy and Dove Awards and is the founder of Rocketown, an outreach to teenagers in a 38,000 square-foot facility in downtown Nashville, Tennessee. He is involved in mission work around the world. He has also written several best-selling books, including Old Enough to Know and Friends Are Friends Forever. He and his wife, Debbie, have five children and live in Nashville. Mike Nawrocki, co-creator of VeggieTales and the voice of the beloved Larry The Cucumber, has been part of the pulse of the Veggie brand since its inception in 1993. Mike has created, written, and directed most of the popular “Silly Songs with Larry” segments, including fan favorites “His Cheeseburger” and “The Hairbrush Song.” He has also lent his screenwriting and directing talents to dozens of VeggieTales episodes such as “Madame Blueberry and The League of Incredible Vegetables,” as well as both of the properties’ theatrical release films, Jonah and The Pirates Who Don’t Do Anything. In addition, Mike has authored a number of VeggieTales books and CD projects as well as developing and writing for another of Big Idea’s hit animated properties, 3-2-1 Penguins. Mike is currently focused on developing new children’s properties centered around fun characters, engaging storytelling, and wholesome values. Mike makes his home in Franklin, TN with his wife and two children. Today we celebrate the best friend—or friends—in our life. Whether you’ve known your best friend forever or have recently formed a strong bond, you know you can always rely on them to be there for a laugh or a shoulder to cry on. To celebrate today’s holiday, get together with your best friend and do something fun, relive old memories, and make some new ones! Scholastic sent me a copy of Sleepy Bird to check out. All opinions are my own. I’m also happy to be partnering with Scholastic in a giveaway of Sleepy Bird. See details below. Copyright Jeremy Tankard, 2018, courtesy of Scholastic. When Sheep suggested counting sheep, Bird fumed that counting only one sheep would not make him sleepy. By this time, Bird was irritated, annoyed, and cross. He decided “he would just walk forever.” Pretty soon he plopped down on the grass and with tears in his eyes cried that he was not tired and would not go to sleep. Bird’s cries reached his friends, who hurried over to help. While Beaver read a story, Fox and Rabbit tucked him in with a blanket and stuffed kitty. Then Raccoon sang and Sheep counted. Bird protested that he still wasn’t sleepy even as his eyes began to close. Birds’ friends were happy they could help him sleep. They lay down close by and were soon sleeping too. But what about Bird? His eyes popped open and he popped up, chirping and ready to play. Jeremy Tankard’s latest book in his Bird series hits hilariously home as Bird refuses to succumb to sleep, becoming crankier and crankier until he can’t keep his eyes open any longer. When Bird jumps up refreshed and ready to play again, kids will laugh and adults will smile at the truth of it all. Bird’s friends are true buddies, willing to put up with some pretty super-silly-ous attitude from their endearing little pal. As in Tankard’s other Bird books, eye-popping, boldly colorful backgrounds set Bird and his friends in a magical forest habitat that highlights the thickly outlined characters. Bird, with his wide eyes, spindly legs, and eagerness to play, is adorable even—and maybe especially—as he admonishes his friends before beginning to droop himself. 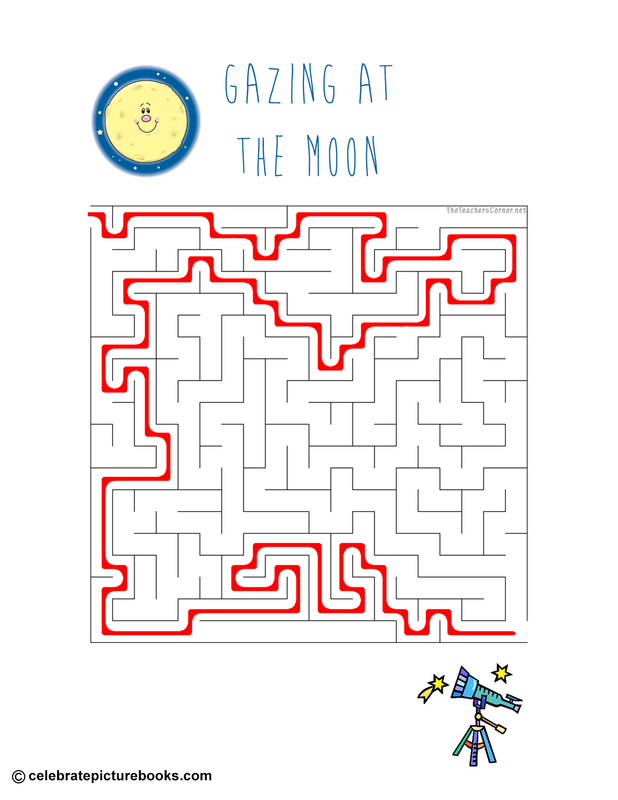 Little readers will love watching the rising crescent moon that illuminates this sleepless night as much as Bird’s bright and shiny personality. A feather in any child’s picture book collection, Sleepy Bird is a must addition for readers who love the series and a terrific introduction to this little blue, spiky-coifed character that will have kids wanting to go back for more. To learn more about Jeremy Tankard, his books, and his art, visit his website. You’ll never get tired of watching the Sleepy Bird book trailer! To be entered to win, just Follow me on Twitter @CelebratePicBks and Retweet a giveaway tweet during this week, June 8 – 14. Already a follower? Thanks! Just Retweet for a chance to win. A winner will be chosen on June 15. Giveaways open to US addresses only. | Prizing provided by Scholastic. Creativity is meant to be shared! Here’s an easy craft that you can make for yourself or to give to your best friends whether they live close by or far away. You can use clip art, your own art, or other images of favorite characters, that remind you of inside jokes, or that represent shared experiences to make these magnets personal. I don’t know about you, but I could use a little extra sleep! But in this go, go, go world, it’s often hard to stop…relax…sleep. Getting enough sleep is vital to our wellbeing, however. Without the proper amount of rest, we’re more susceptible to illness, our work suffers, we’re not as alert when driving, and our mood can be a little…well…cranky. If you’re not getting enough sleep, today’s holiday encourages you to rethink your routines, make sure your mattress, pillow, and bedroom is comfortable, and put a priority on this also-important part of the day. Today we celebrate not so much a holiday as an event—the Supermoon! Today’s full moon will be the only supermoon to occur during the entire year of 2017. What makes tonight’s moon special? A supermoon occurs when the full moon coincides with the day on which the moon is closest to the earth. Because of this proximity it appears larger and reflects more light. According to National Geographic, today’s supermoon will be 16 percent brighter and 7 percent bigger than usual. For star-gazers and night-sky enthusiasts, the supermoon gives you a great (big) reason to get outside and enjoy this autumn evening. Image copyright Blanca Gómez, 2017, text copyright Rachael Cole, 2017. Courtesy of Schwartz & Wade. The child is mesmerized by the moon, but “why doesn’t everyone look?” Mama says that they are busy. In the windows they can see people cooking dinner, reading, and playing. Others jog and stroll on the sidewalk, while still others ride bikes home after a long day. Mama bends down and whispers, “‘And it is also time for us to go to bed.’” They head home and once more see the moon, full and bright. It plays hide-and-seek peeking out from its hiding place behind a cloud just as the little one becomes too sleepy to walk along. Mama carries her child home, to their stairs and the stoop. Inside they take off their coats and shoes, and the child is tucked into bed. The full moon shines through the window. “‘Can we keep the curtain open?’” the little one asks before falling asleep in the gentle glow of the natural nightlight. Rachael Cole’s delightful evening stroll is the perfect antidote to a busy day. At once lyrical and perceptive, the story is told from the child’s point of view and tenderly reflects all the wonder and magic that children find in being outside at night. Young readers will revel in the precise observations and step-by-step chronicle of the mother and child’s walk. The playful game of hide-and-seek from page to page will enchant little ones. Cole’s lovely language also echoes the way children learn—by asking questions, repeating new words and ideas, and taking time to stop and see. A warm hug that embraces family and neighborhood, City Moon gives readers so much to see and experience during leisurely bedtime or daytime story times. The story will also inspire families to take similar evening walks. City Moon is highly recommended as a wonderful gift and a must for any child’s bookshelf or classroom library. Discover more about Rachael Cole, her books, and her work on her website. To learn more about Blanca Gómez and her artwork, visit her website. The moon is super bright! 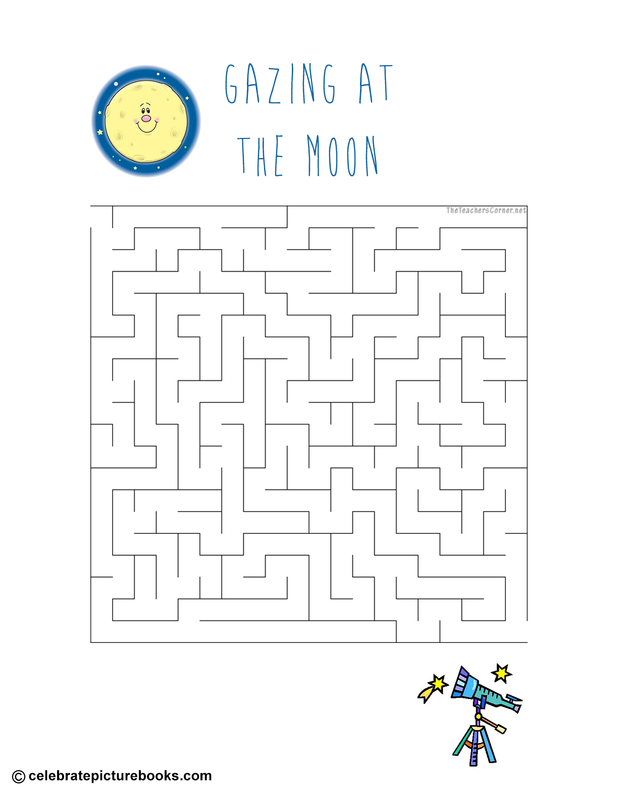 Can you follow the sight line from the telescope to the moon to see it in this printable Gazing at the Moon Maze? Here’s the Solution. There’s nothing that refreshes quite as much as a good night’s sleep. That’s why, during Sleep Comfort Month, people are encouraged to take stock of the amount of sleep they get each night. If you lie awake late into the night (or even early morning) and feel sluggish the next day, you may want to consider changing your nightly routine. Limiting light and screen time before bed, keeping the room at a comfortable temperature, and having a set pre-sleep activity like reading or journaling can help you fall asleep quickly and deeply. Children, especially, benefit from a nighttime routine. Copyright Akiko Miyakoshi, 2017, courtesy of Kids Can Press. Akiko Miyakoshi sleepy, atmospheric bedtime story reflects all the comfort and mystery that nighttime inspires in little ones. The loving child/parent relationship is sweetly depicted in the beautiful, understated acts of the bunny’s being carried home through the softly lit streets and tucked into bed under warm covers. The glimpses into the neighbor’s windows provides a unifying sense of community as do the final pages that pan out to include the entire town and the idea of the wider world traversed by the bright trains coming and going from the station. Miyakoshi’s black, gray, and sepia-toned pencil, charcoal, and gouache illustrations are set aglow with the welcoming light emanating from windows and streetlamps and accented with spots of color in clothing and homey touches. The windows frame cozy vignettes of family life, and young readers may like to imagine their own stories of what is happening in each. Gender neutral clothing and a lack of pronouns makes this a universal book. The Way Home in the Night is a cozy, quiet book that is just right for soothing little ones to sleep while giving them the happy assurance of love, commitment, and connection to their world. An exquisite addition to bedtime books, The Way Home in the Night would make a wonderful gift and a favorite choice on any child’s home bookshelf. To learn more about Akiko Miyakoshi, her work, and her books, visit her website. It’s easy to make your own snuggle buddy with a few pieces of fleece, some fiber fill, and a needle and thread or fabric glue. The great thing about creating your own friend is you can personalize your pal anyway you want! Fold the large piece of fleece in half lengthwise and sew along the open side and along the bottom. Alternatively, if using a larger size piece of fleece, fold upward and sew or glue the two sides closed. Cut eyes, a nose, and a mouth in whatever way you would like your buddy to look.